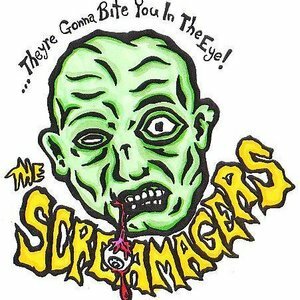 Although never compiled into a cohesive album, an impressive collection of 15 songs is boasted by horror punk/ psychobilly band The Screamagers. The Misfits are an obvious influence, with their punk rock renditions of vintage horrors: Frankenstein’s monster and his bride, “Zombie Monsters From Outerspace”, and teenage werewolves are their typical song material. Their collection is catchy and fun, even if some songs are ridiculous. In the end, it’s all completely entertaining. As mentioned in my previous band review, they are signed to Centipede Records, and have tracks like “Day Of The Centipedes” and “Conquest Of The Centipedes”. This exhibits a morbid obsession with centipedes that is shared by myself and several others in the metal community. Death, fear, and monsters are common lyrical themes, even if they are viewed in a humorous light. Creepy, cool, and insanely enjoyable, these tracks are a great listen. Instead of being played all at once, they make better additions to playlists, as the similar song structures can be too repetitive if heard consecutively. 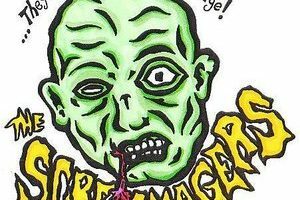 This shortcoming aside, The Screamagers offer an endearing variety of nostalgic rockabilly horror with a punk rock twist. Three stars out of five.